Lodger facilities from R.A.F. No.16 Group. Transferred on loan 05.06.45 until October 1946. 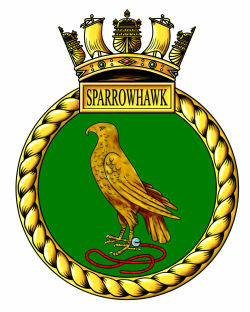 05 August 1945 as "SPARROWHAWK"
28 February 1946 reduced to Care and maintenance status. 15 March 1946 - returned to R.A.f. custody on this date. The airfield lies 7½ miles W. of Southwold. Wireless masts at Dersham, approximately 5 miles due S. of Halesworth water tower, approximately 1,000 yds. SW of S end of no. 2 runway. Railway station at Halesworth 2 miles, L.N.E.R. Three, Concrete and wood chippings..
09/-- QDM. ---˚-240˚ .... 2,000 x 50 yds. 17/-- QDM. 172˚-190-˚.... 1,400 x 50 yds. 23/-- QDM. 226˚ -290˚ .... 1,400 x 50 yds. Perimeter track connects ends of runways. Moved here from RNAS Dale 03.12.45. Moved to RNAS Ford 15.01.46. Operated Beaufort (I & T.II), Beaufighter II, Blenheim IV, Oxford, Wellington XI. Equipped with an assortment of aircraft which included Barracudas, Fireflies, Harvards, Seafires, and Tiger Moths. 4683/45 R.N. Air Station, Halesworth - Commissioning - R.N. Air Station, Hatston - Paying Off.